A hernia is the protrusion of a body part through an abnormal opening, and curing it requires surgery to reposition the part and close the opening. There are 2 major goals in recovery from surgery: returning to normal activity and reducing the chance the hernia will return. Your surgeon will guide you in achieving those goals. The first 7 days after your operation are the most critical in recovery. Your surgeon will give you specific instructions for care of your incision, what you can and cannot do, what medications you need to take, warning signs of early complications and when to return for your first office visit. You may perform basic activities of daily living -- walking, climbing stairs, if necessary -- but you should avoid household chores. Driving a car is dangerous during this time. Pain medications and anesthesia depress your reaction times, and sudden braking will cause pain. Coughing and jumping produce pressure and could set your healing back, so you should avoid these, if possible. Depending on your progress at your first office visit after your surgery, your surgeon will determine the schedule at which you may increase activity. You must continue to avoid driving as long as you are taking narcotic pain relievers. Walking is a good rehabilitative exercise, but you shouldn't run until 3 to 6 weeks after surgery. Exercise during this period should emphasize flexibility rather than strength. Your surgeon may allow you to lift very light weights. 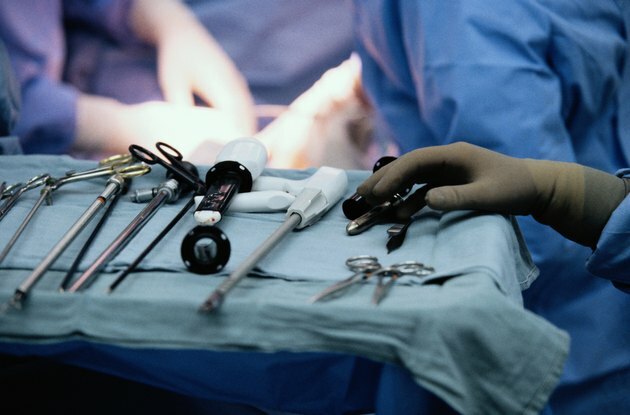 No hernia operation is perfect, and there is a lifelong risk of recurrence. The initial success rate is largely determined by the expertise of your surgeon, and you should not hesitate to ask about her experience in hernia repair, including recurrence rates. You should also ask about the surgeon's preference for conventional incisions versus laparoscopic surgery and for using natural tissues versus mesh, as these may significantly affect the rate at which you will regain normal function. Your chance of normal life without recurrent hernia is excellent, particularly if you follow the directions of your surgeon in the early phases of recovery. There is no evidence a single strenuous effort will disrupt a completely healed repair, and a graduated schedule of training will help you maintain total body health without risking hernia recurrence. Carefully following postoperative instructions and choosing an experienced surgeon will yield a lifetime success rate of greater than 90 percent.